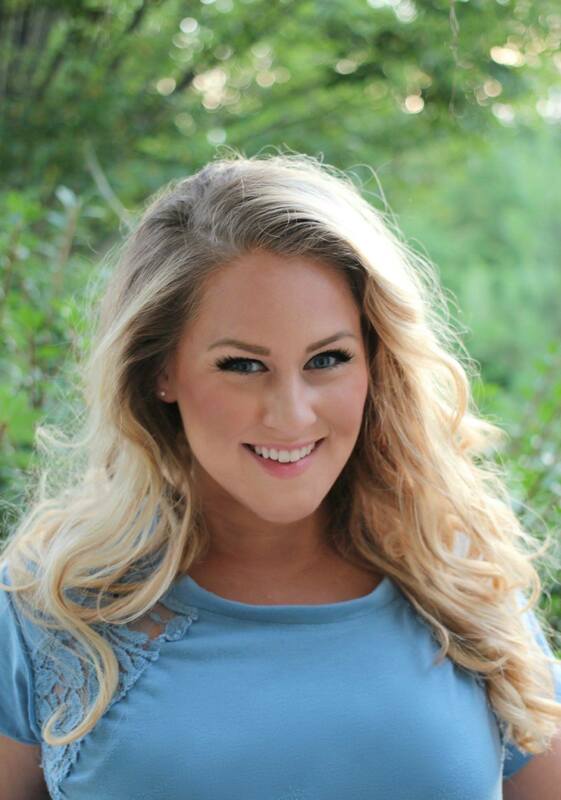 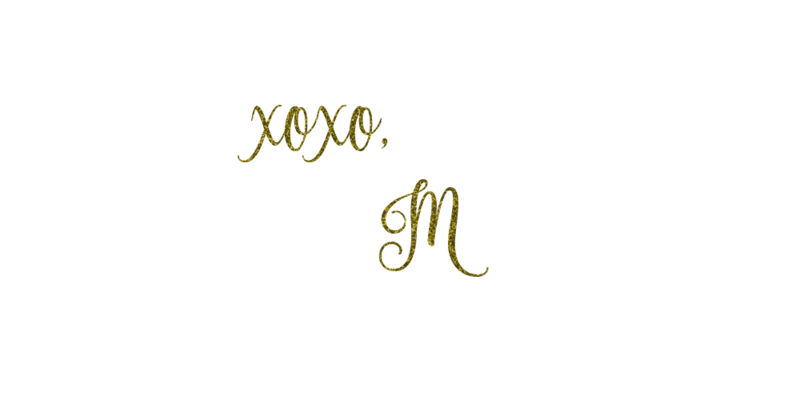 Hey y’all, happy Wednesday :). 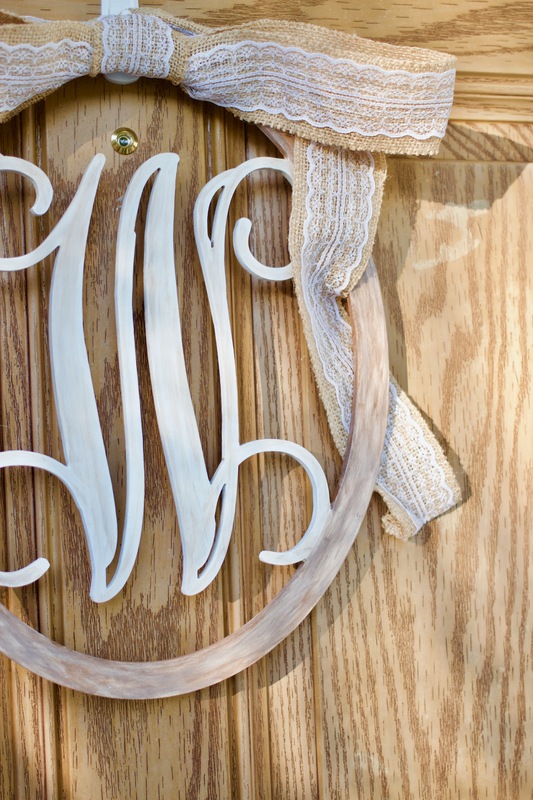 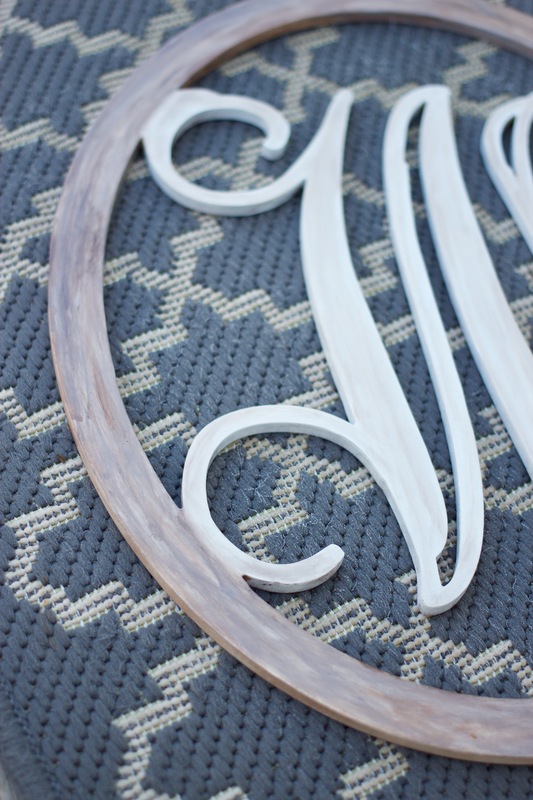 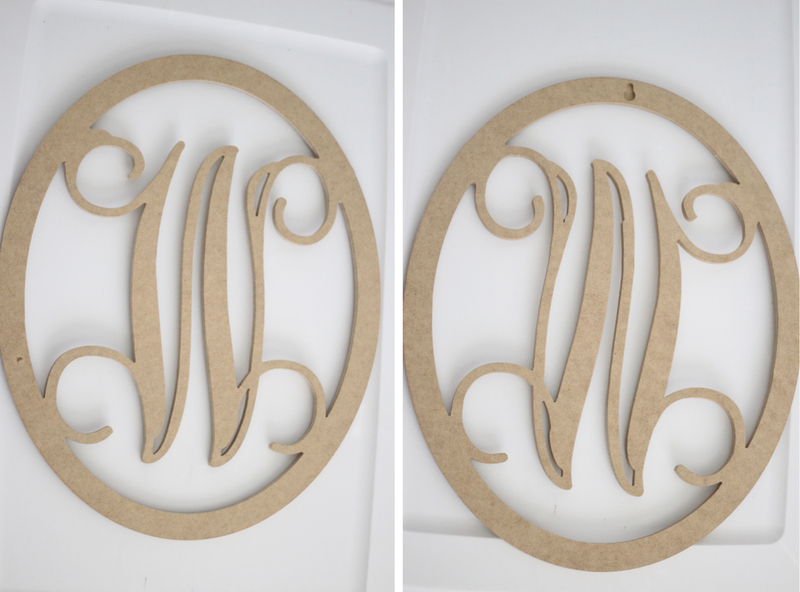 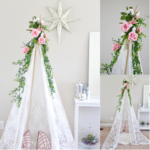 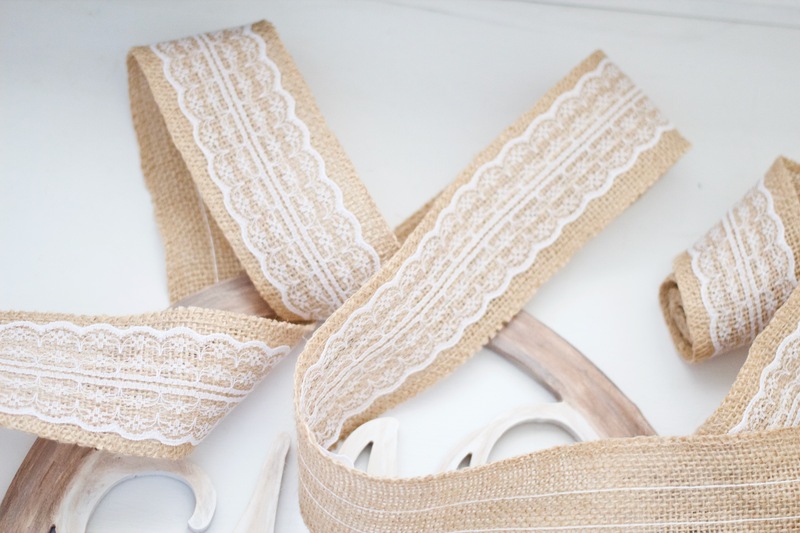 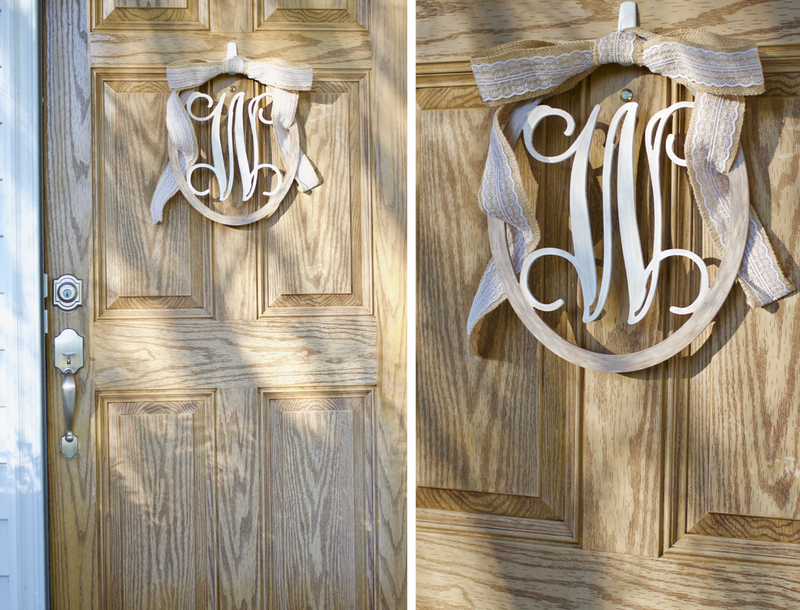 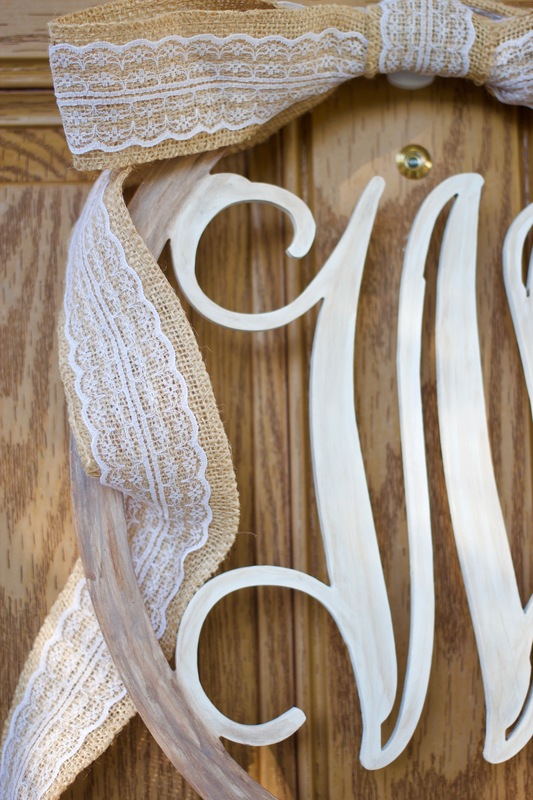 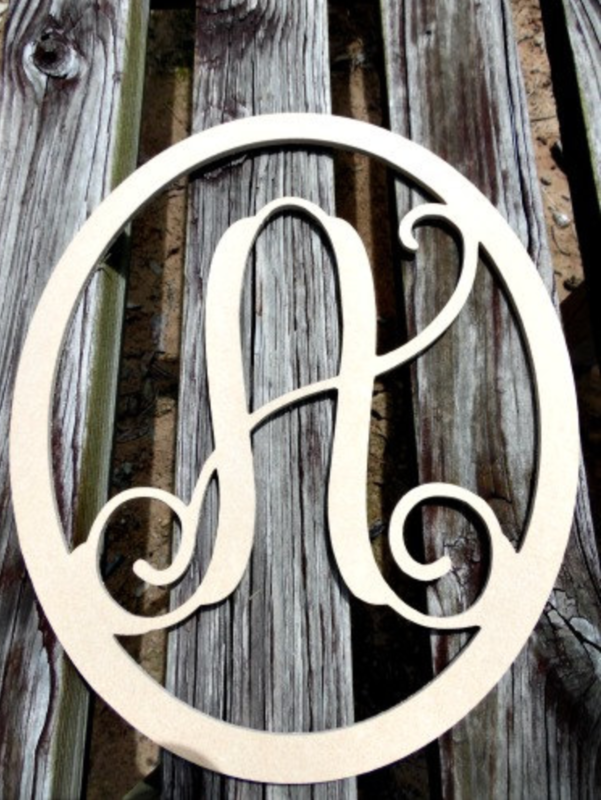 This project took a total of 15 minutes to complete – seriously! 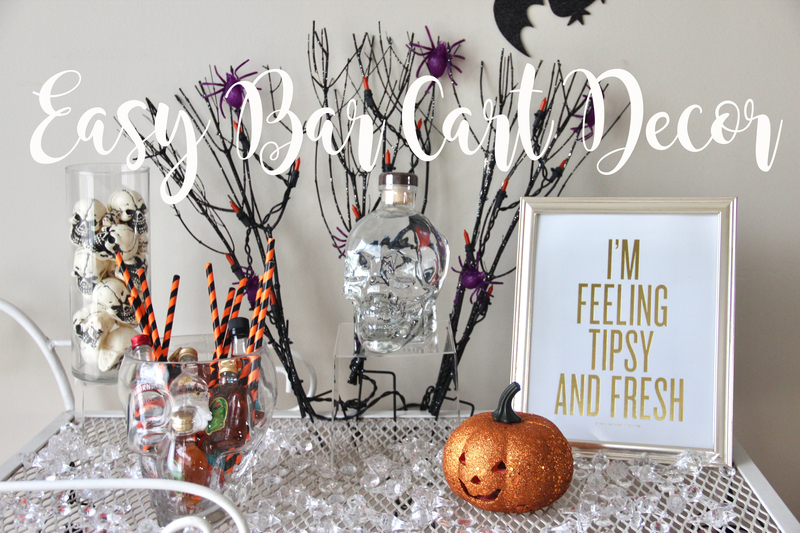 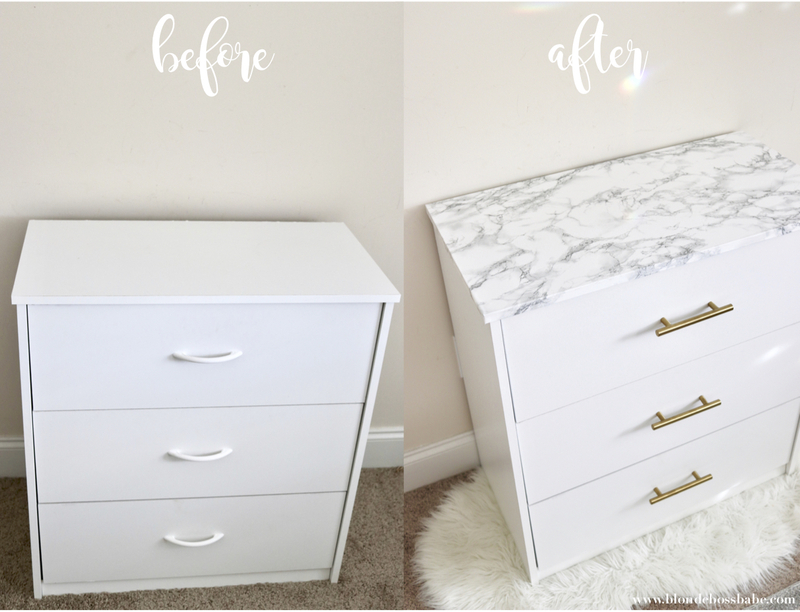 It’s definitely my fastest DIY/hack to date! 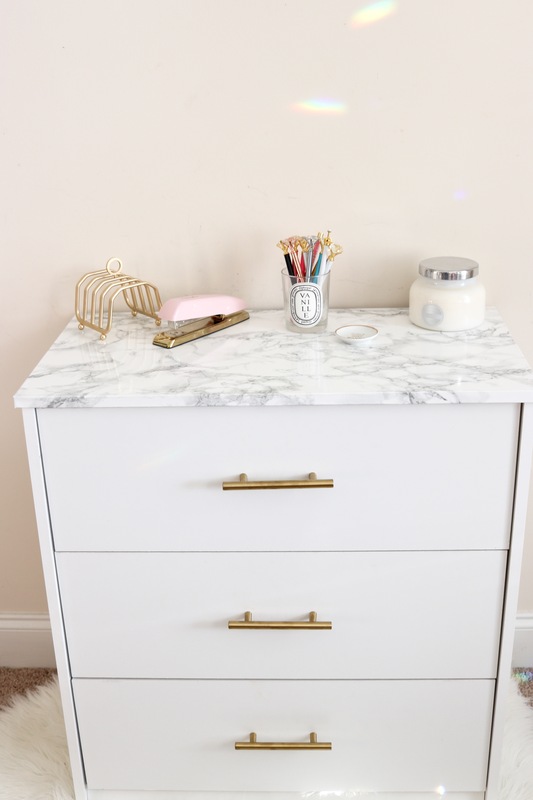 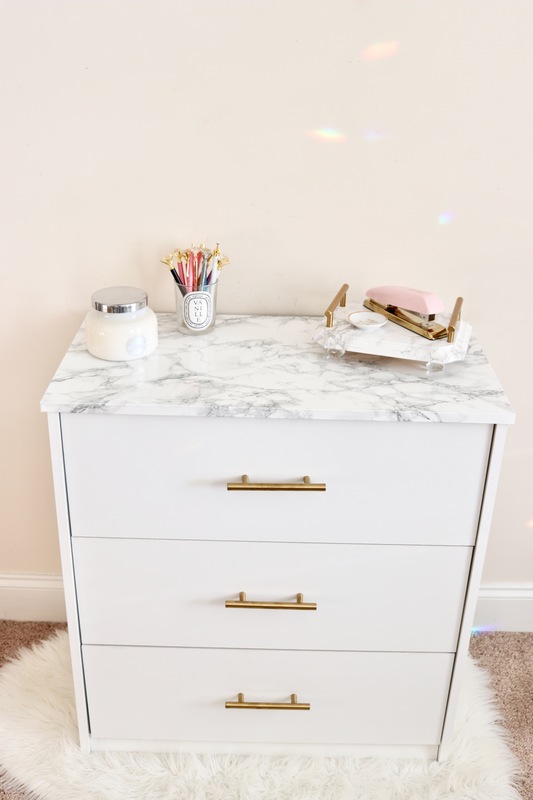 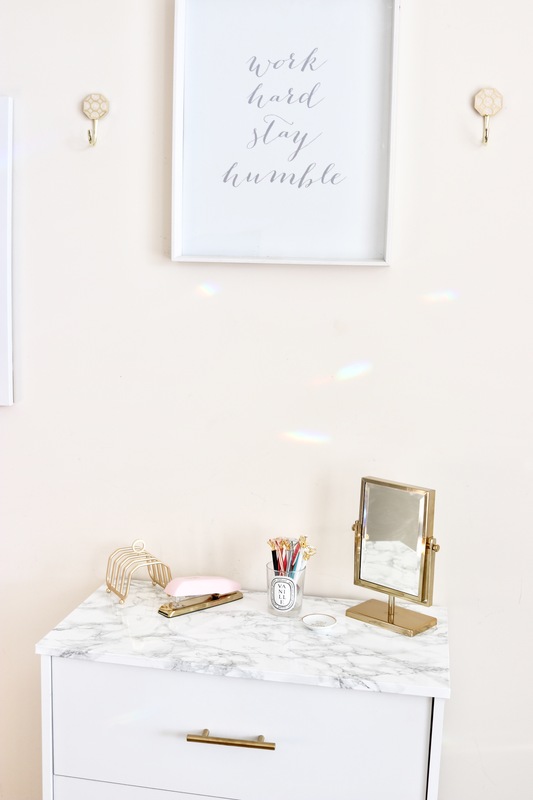 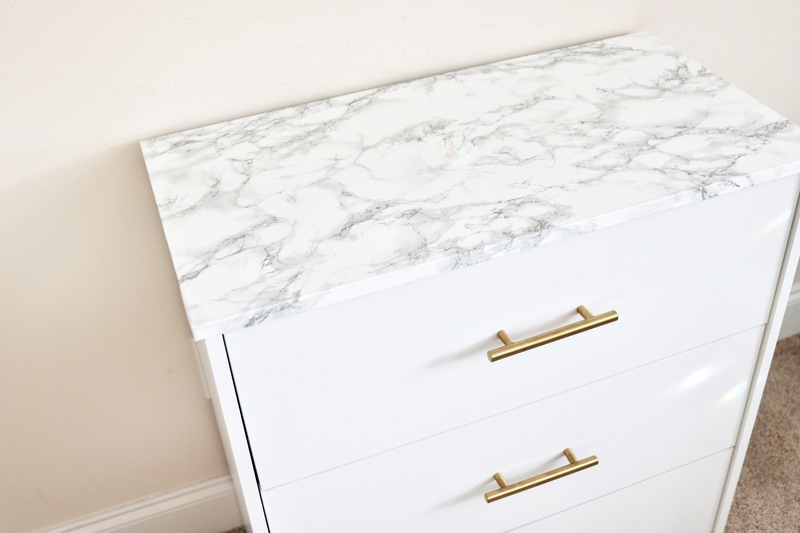 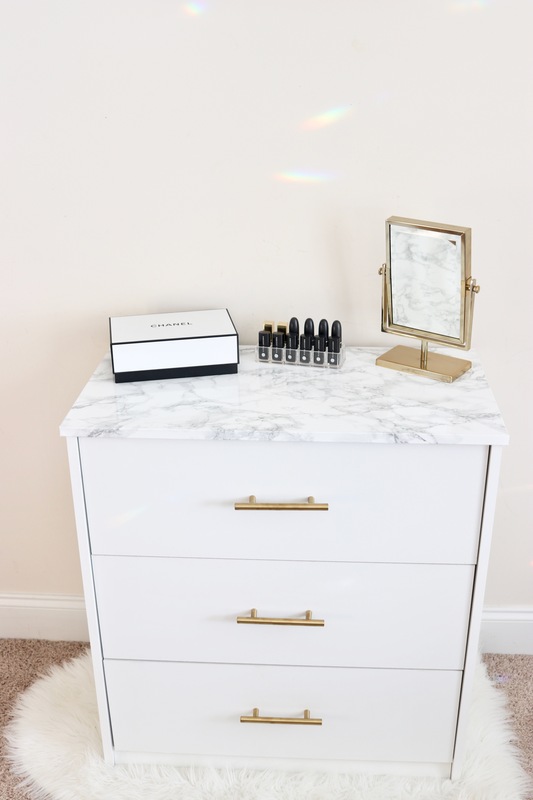 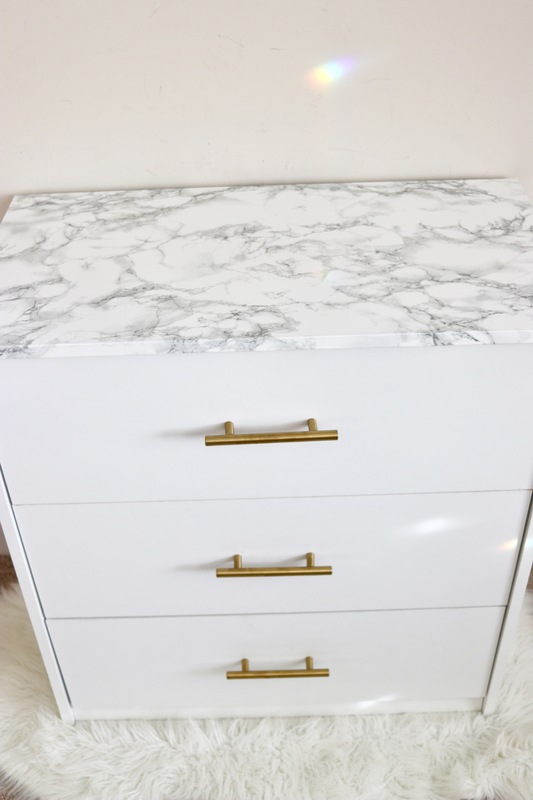 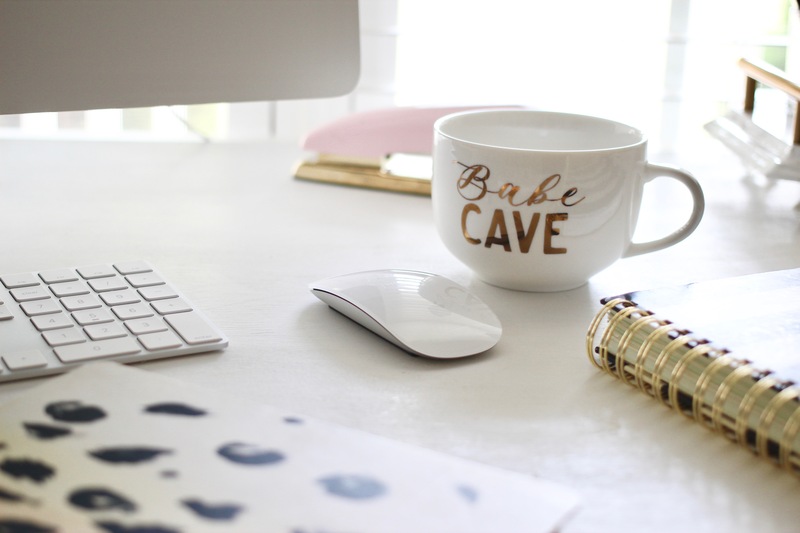 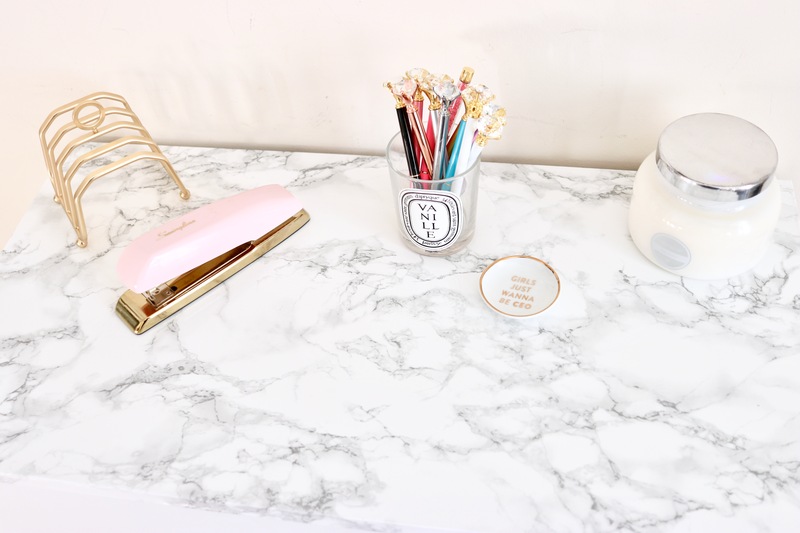 As most of you know, I love marble and gold home projects, and this one absolutely has a significant impact on any space you choose to use it in – whether a home office, glam room, or even a closet! 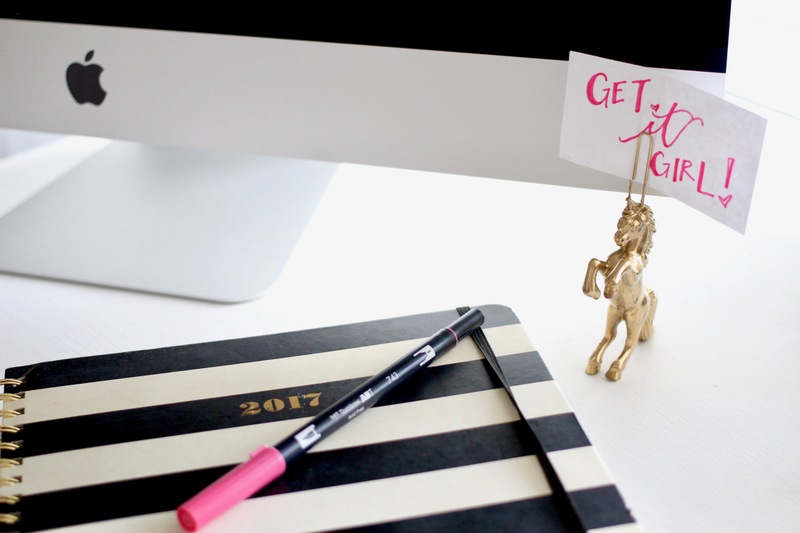 If you’re ready to get started, the 3 easy steps and supplies are included below – if not, pin the image above to save the project for later! 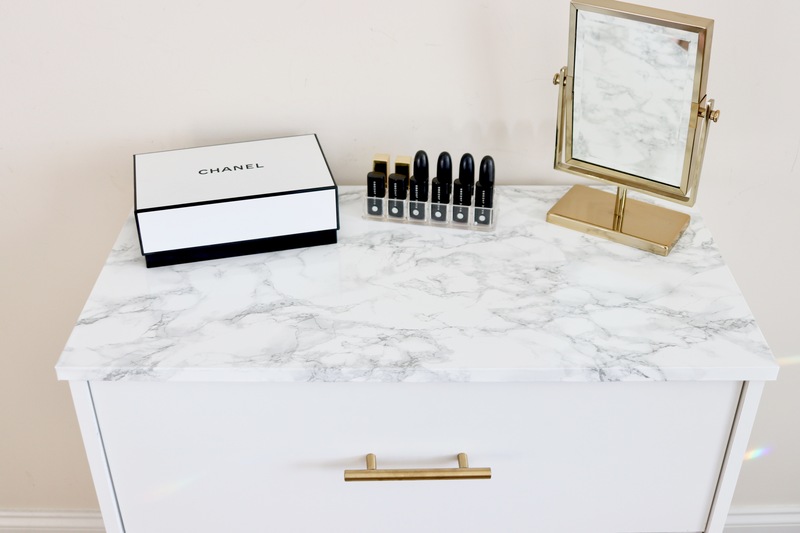 Step 2: Wipe down and dry the top of the dresser. 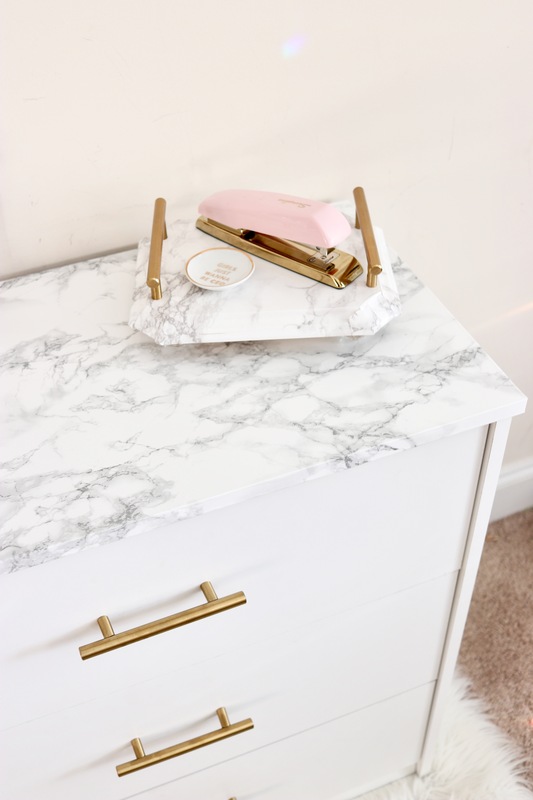 This removes any dust and allows for your contact paper to adhere more securely! 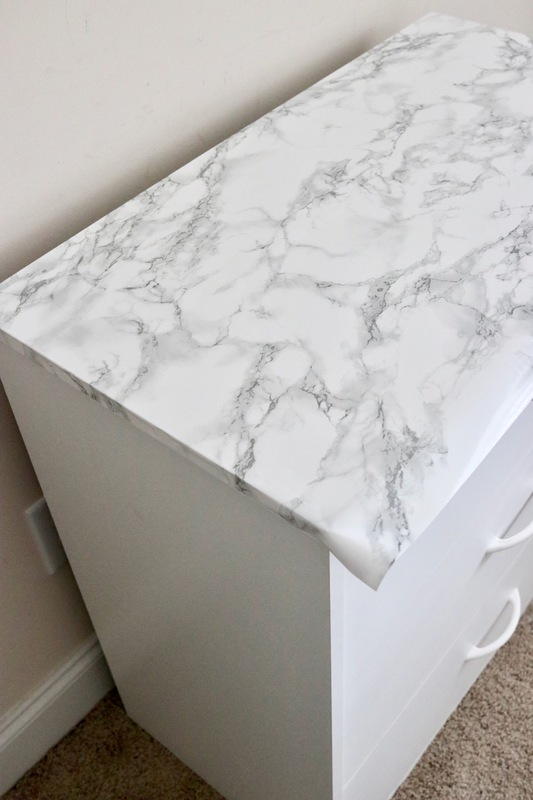 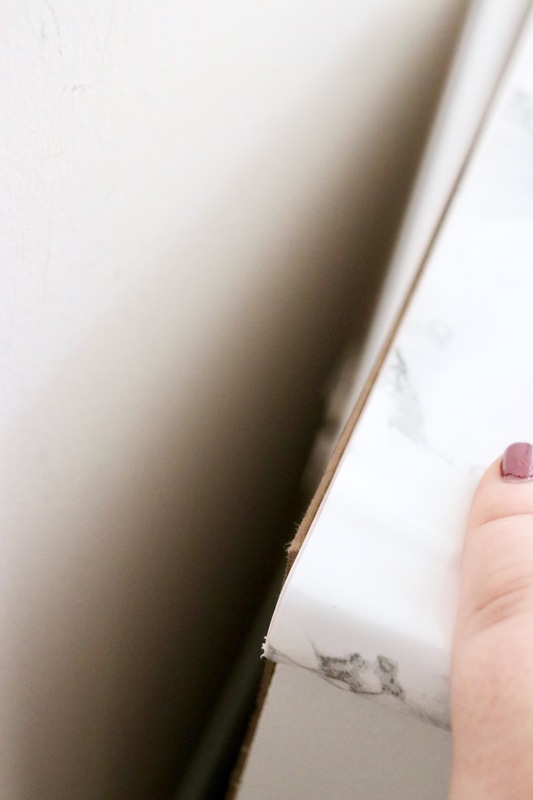 Next, line up your marble contact paper, and cut to size **Be sure to leave enough overlap to fold the marble sticker down underneath the edges. 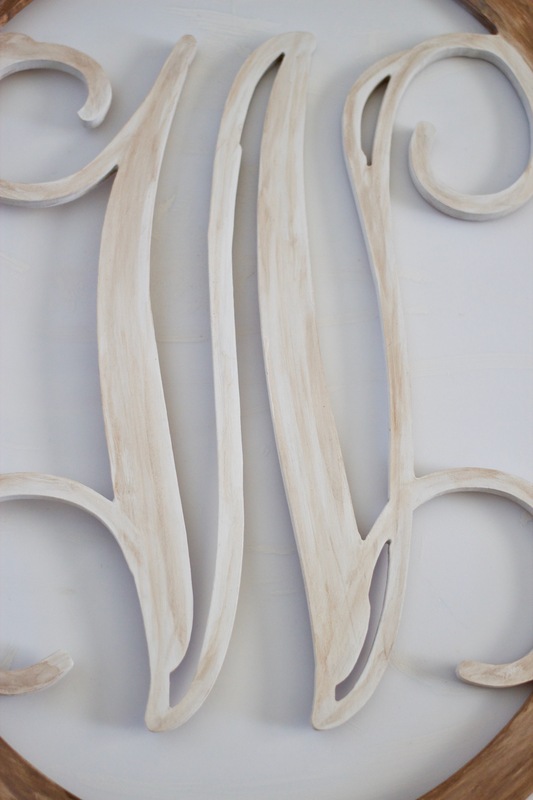 Then, using your putty knife, apply and smooth out the contact paper. 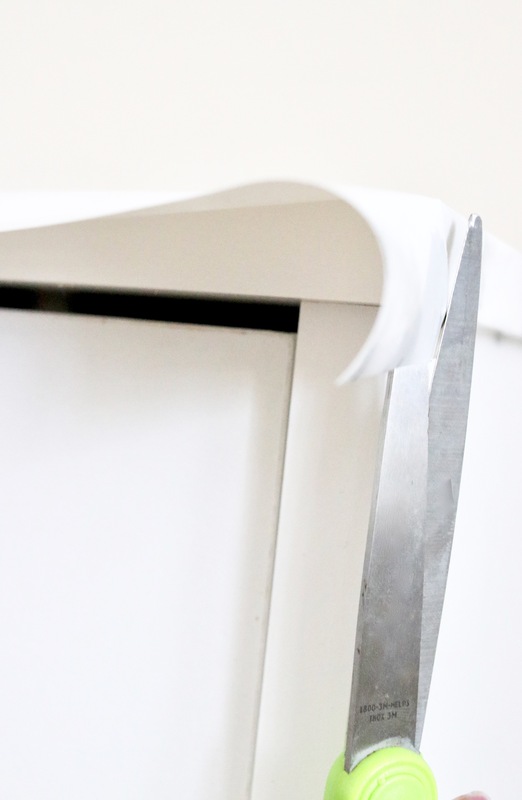 Cut a single slit at the edge of the front corners, if needed, for folding the sticker and applying it to the drawer set. 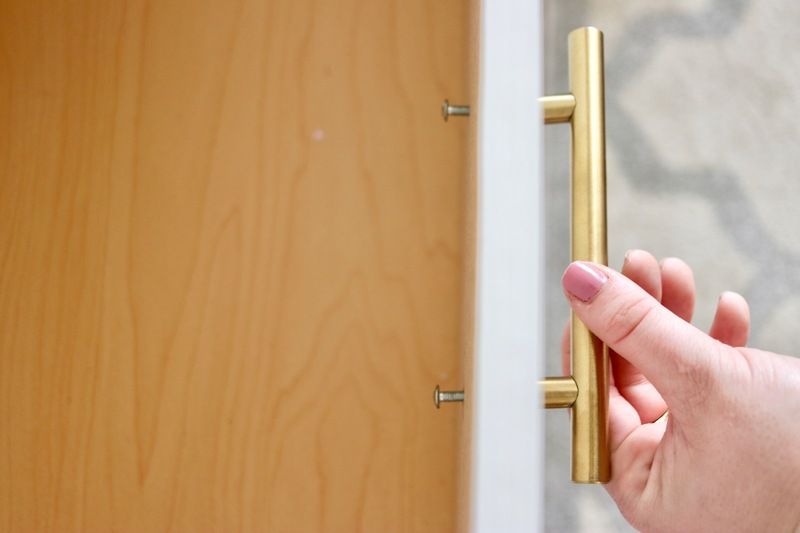 Step 3: Add your brass pulls, securing them with your screwdriver. 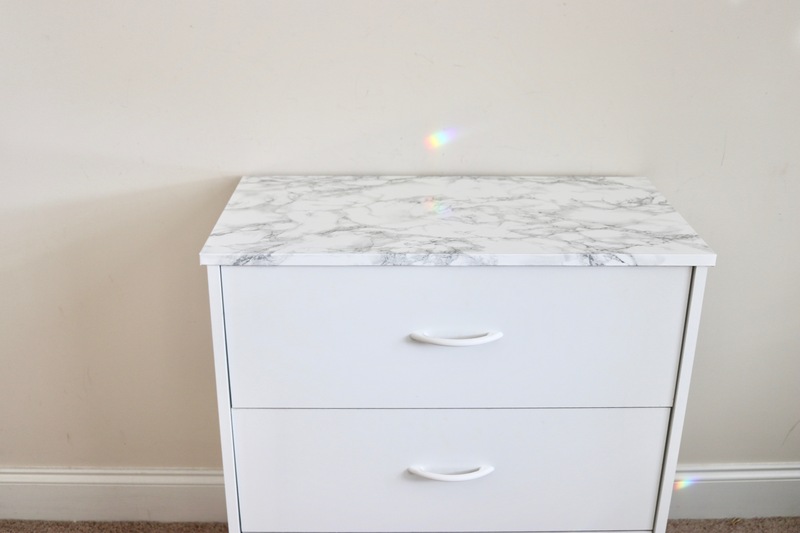 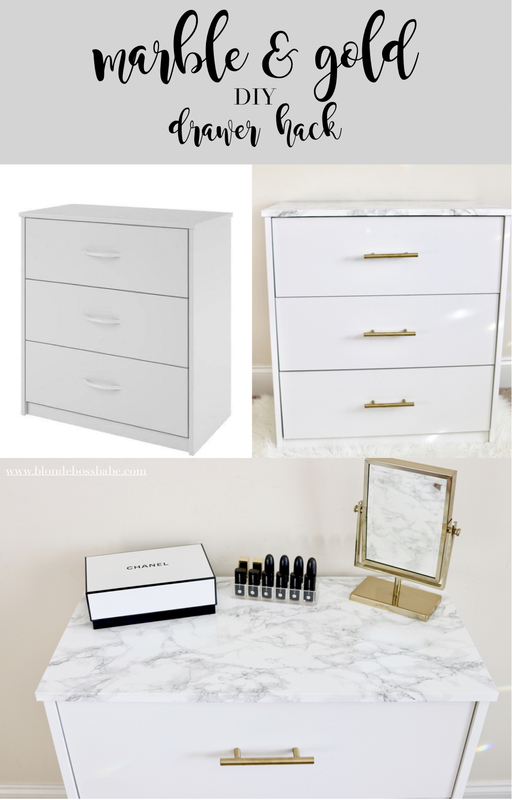 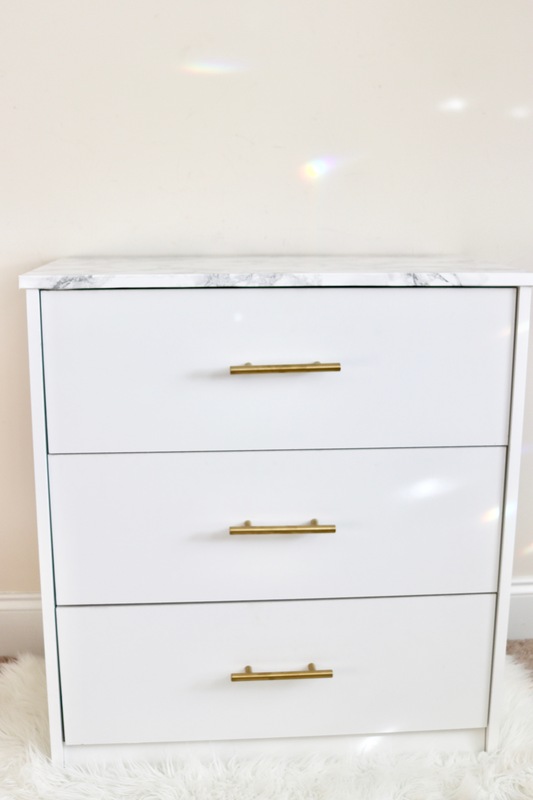 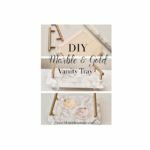 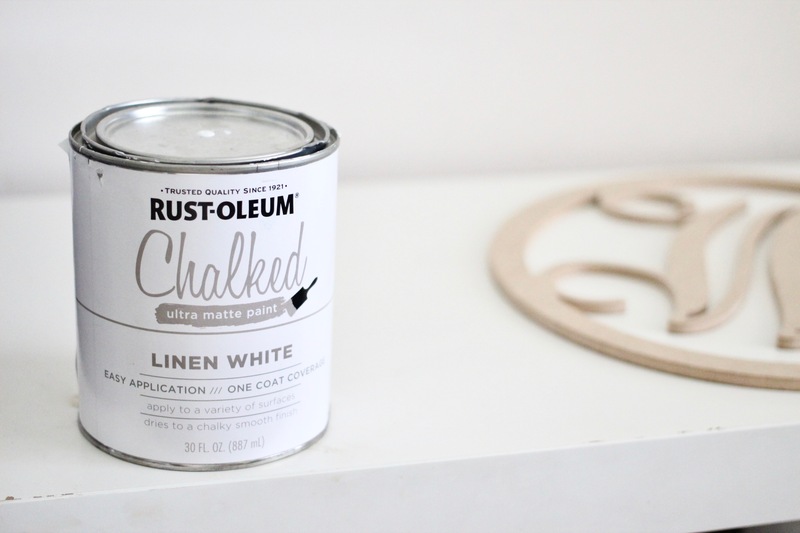 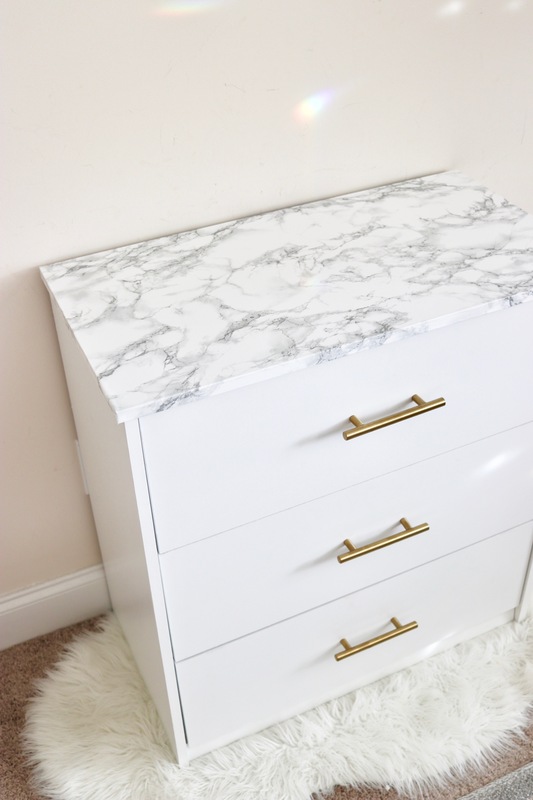 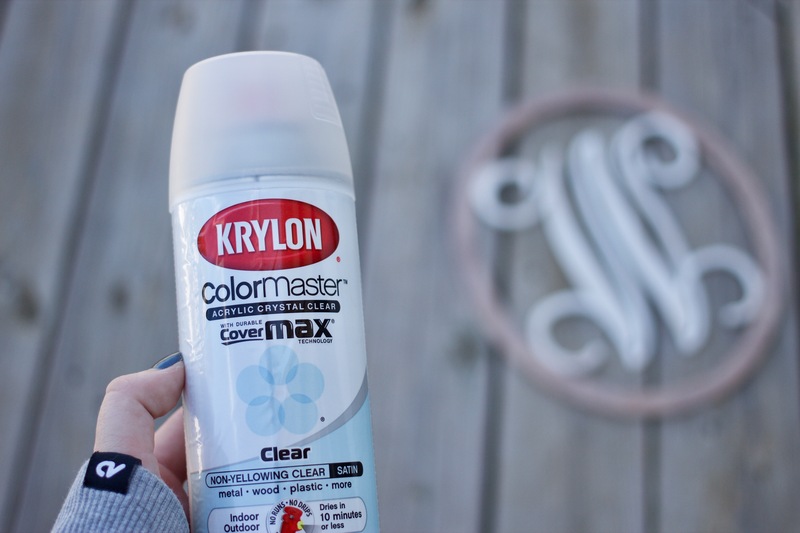 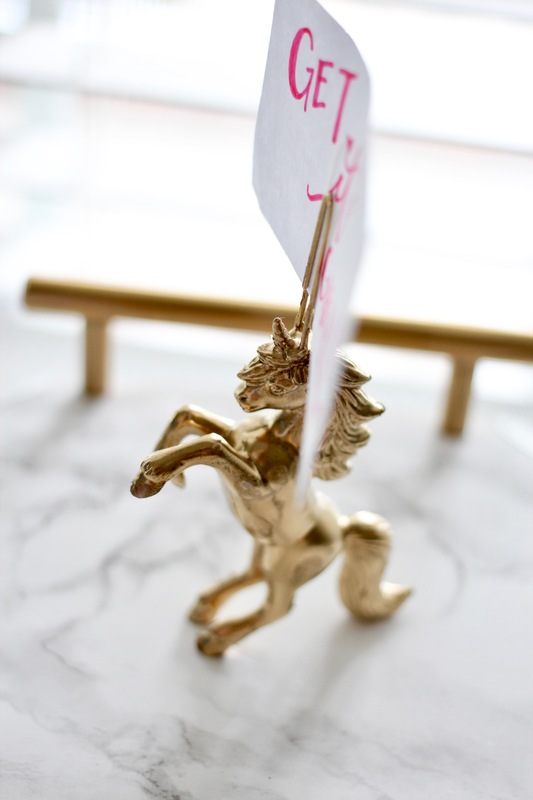 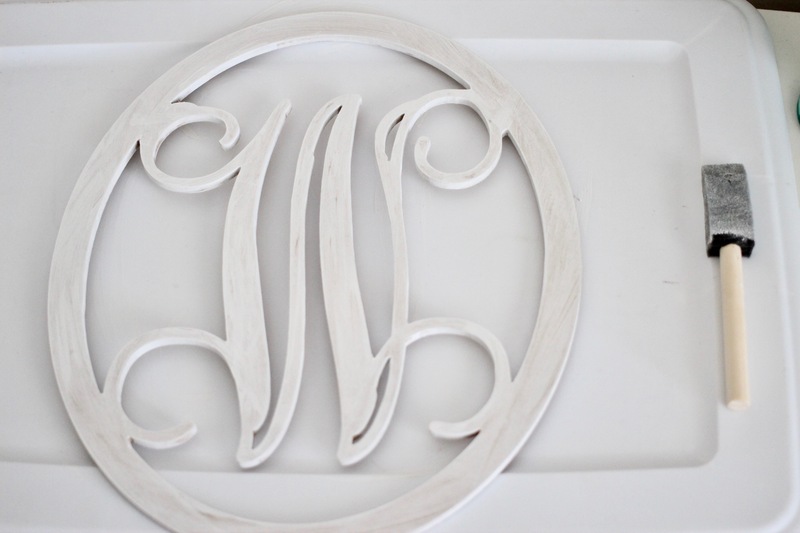 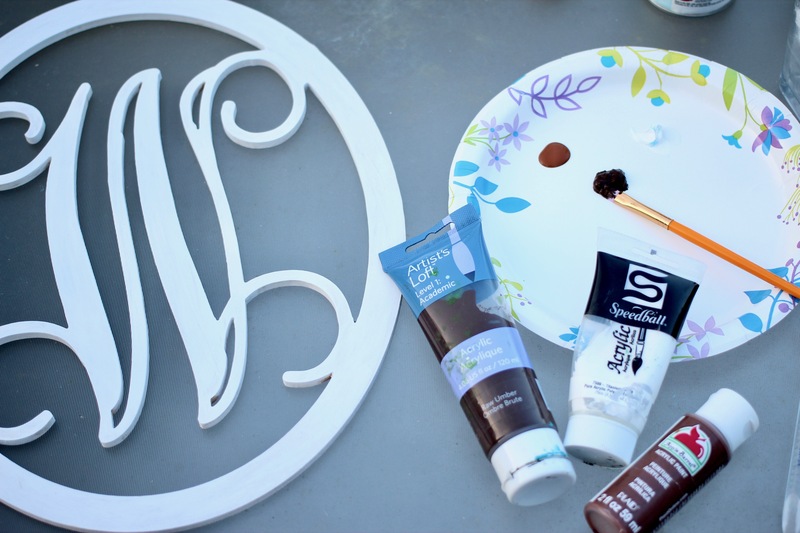 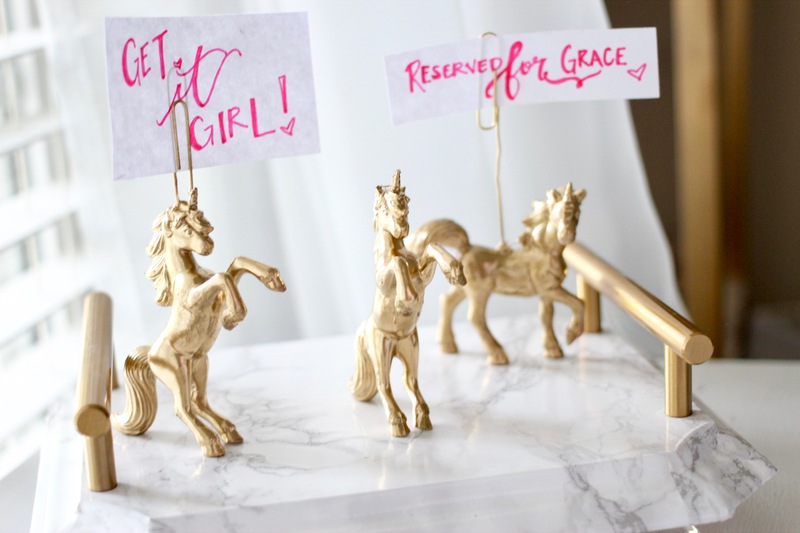 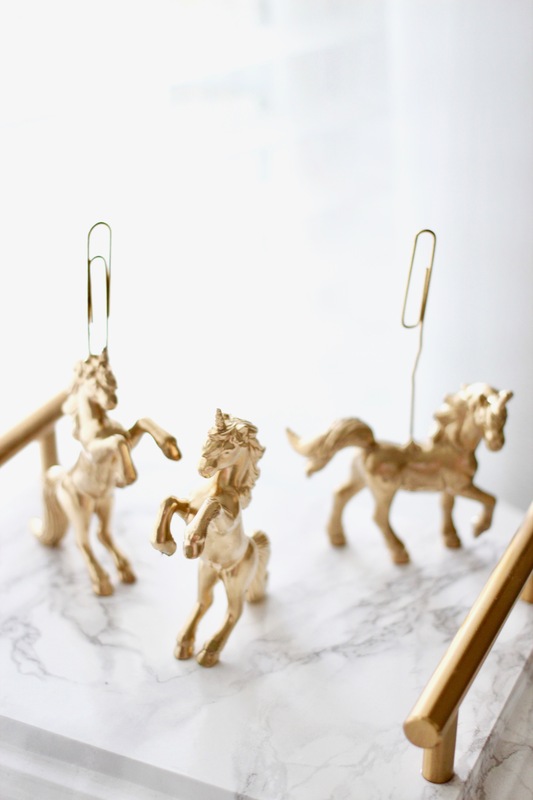 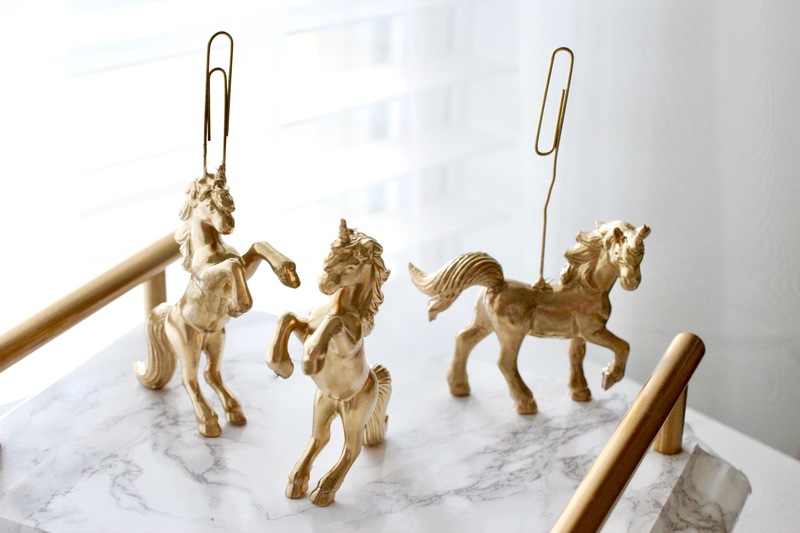 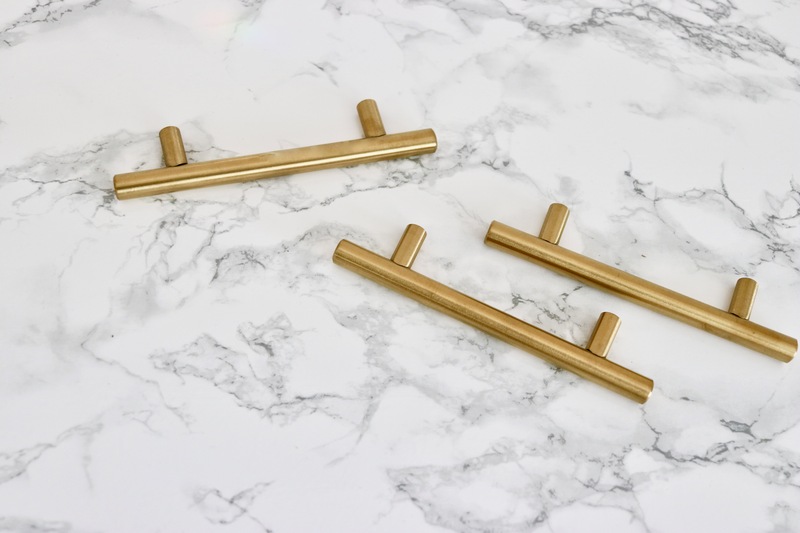 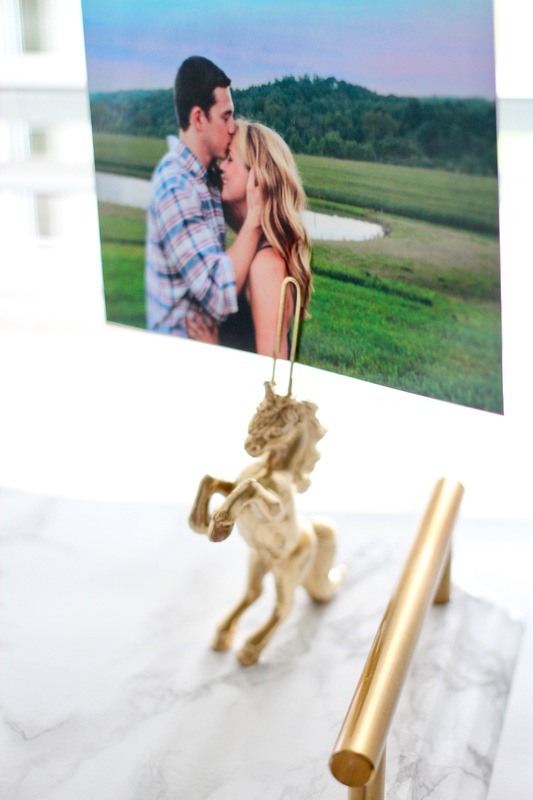 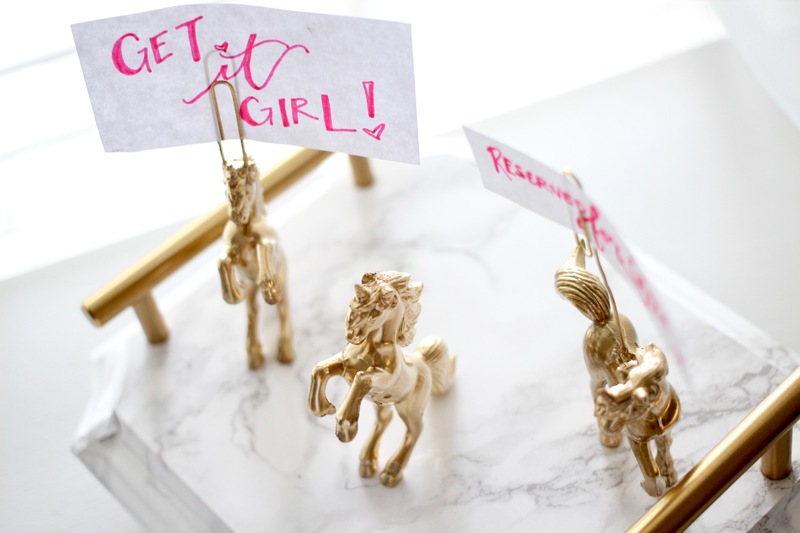 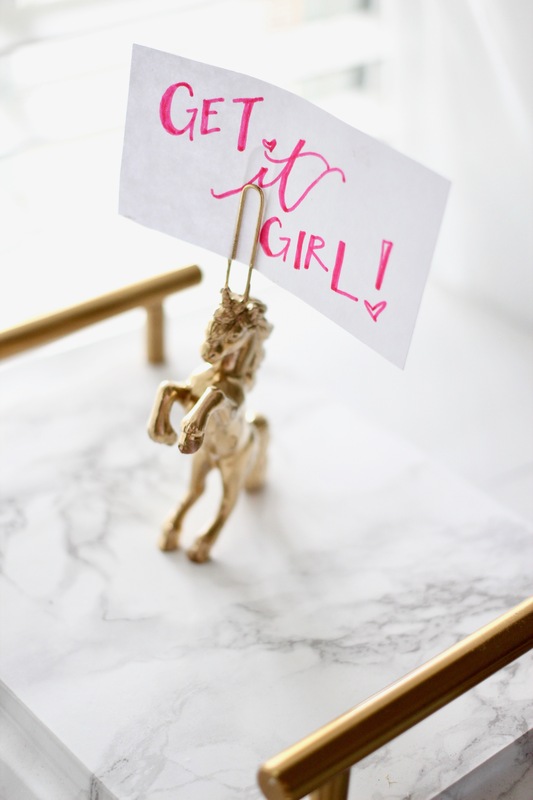 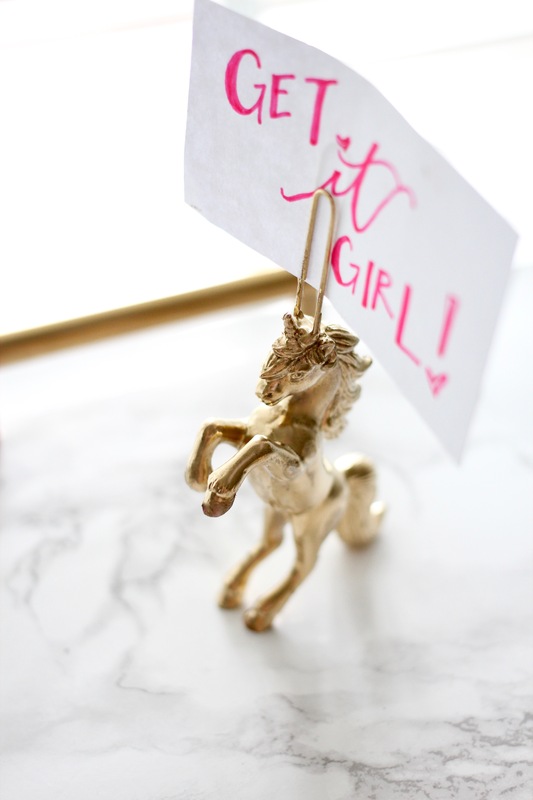 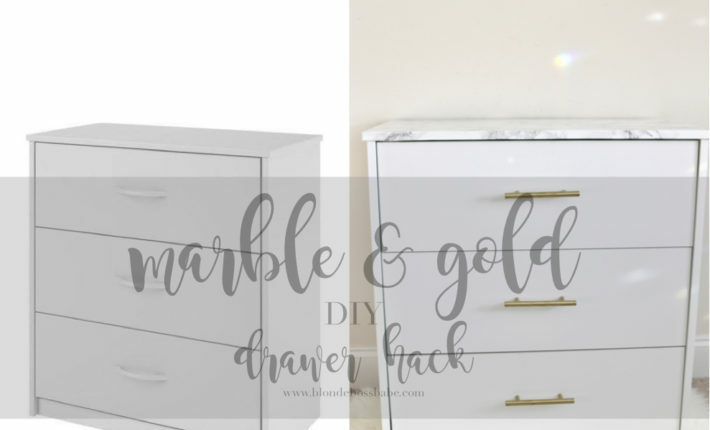 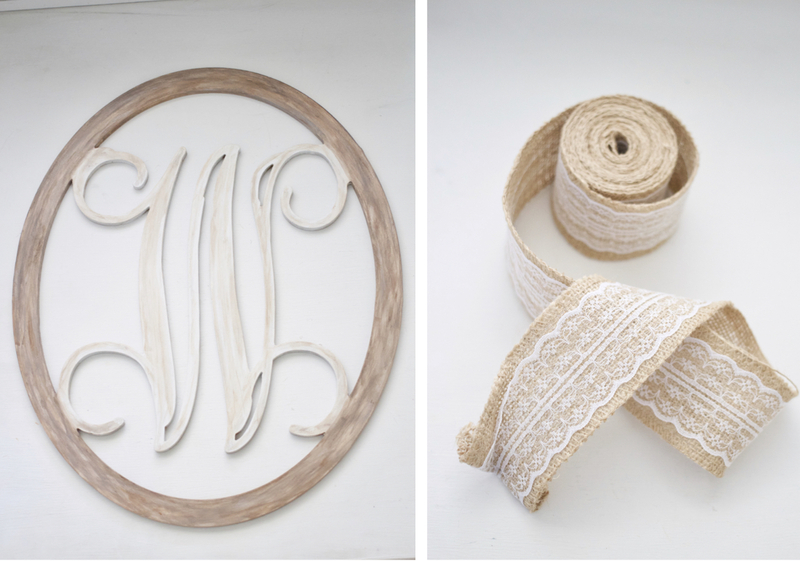 Interested in more Marble & Gold DIY projects? 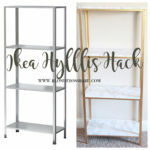 Check out this Ikea Hyllis Hack! 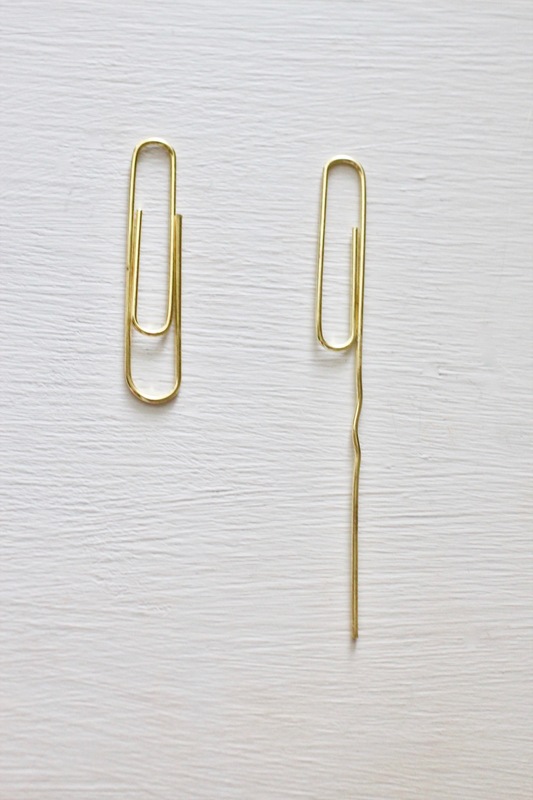 Step 1: Get out your paperclips and plug in your hot glue gun! 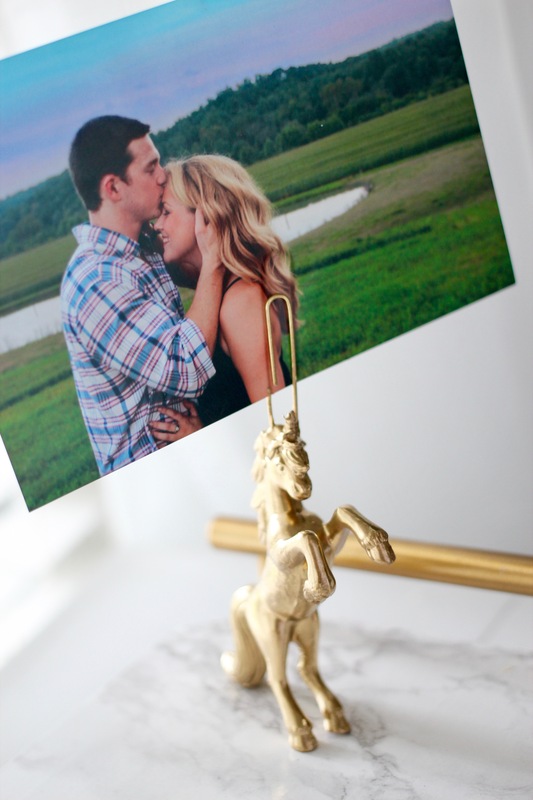 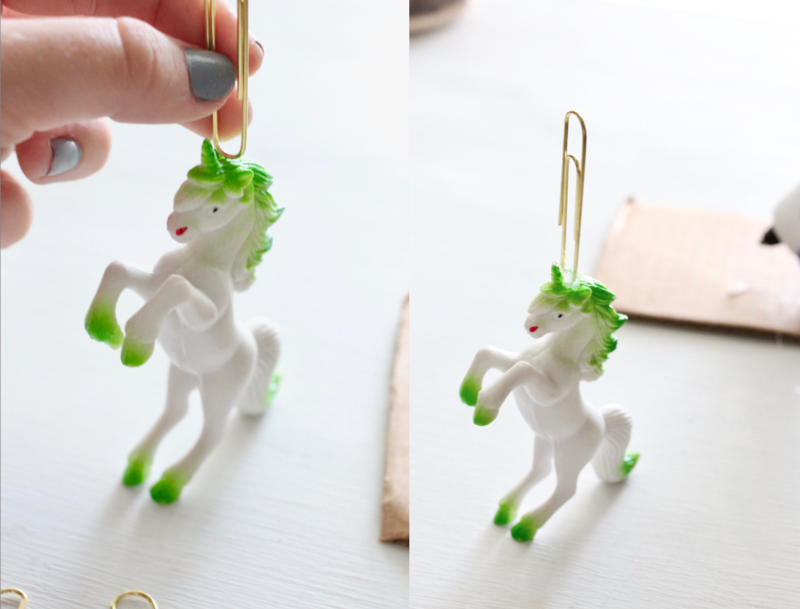 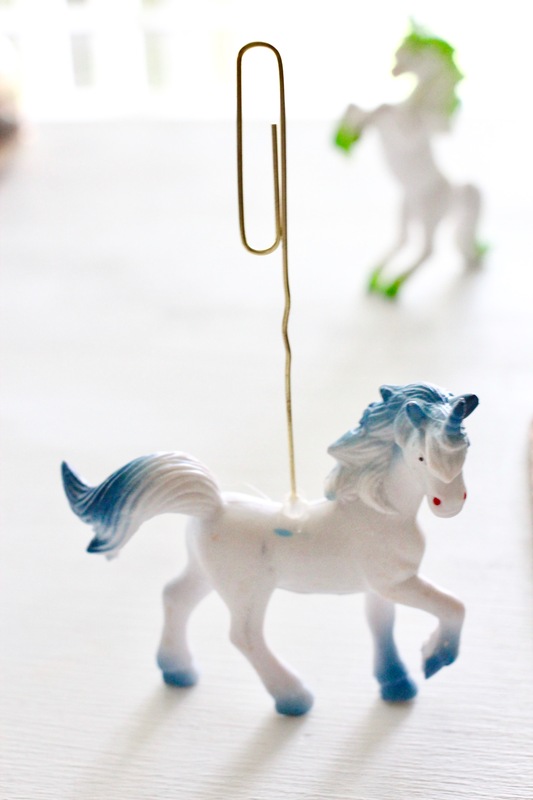 For this part, you can choose to either straighten out one side of the paperclip or leave as it is depending on where on the unicorn you want your clip to be. 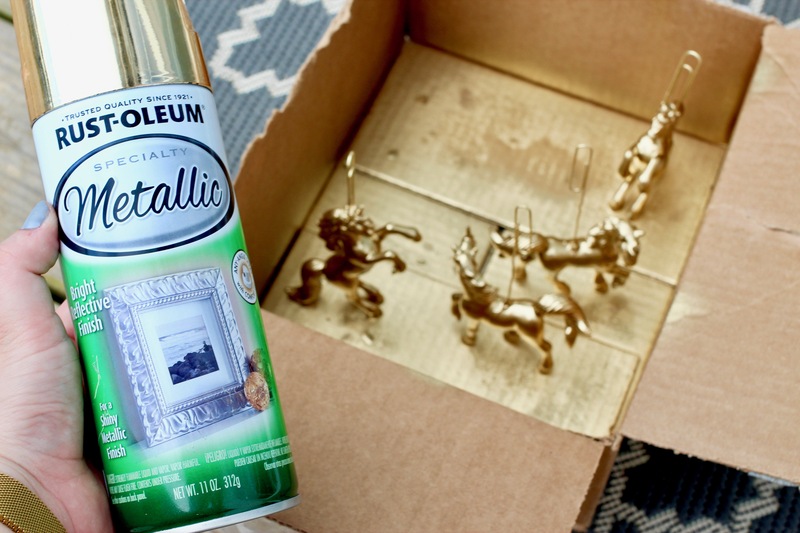 Once you’ve decided, glue it into place. 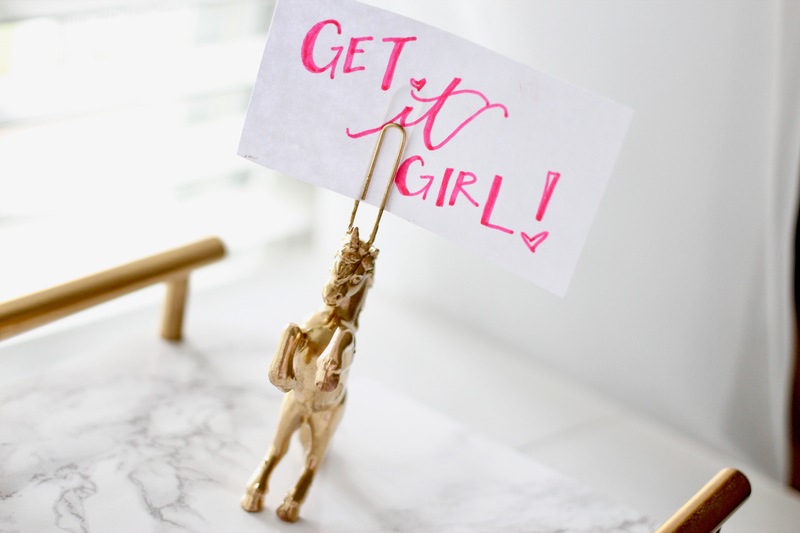 Repeat this step with as many as desired. 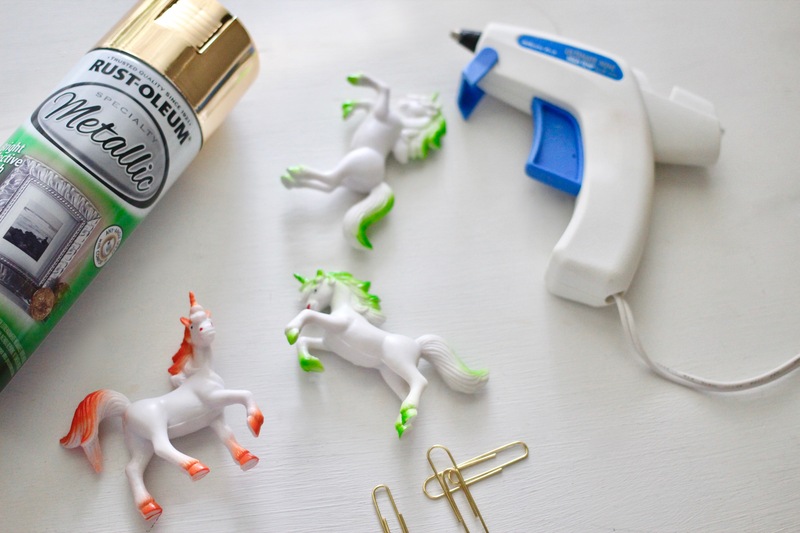 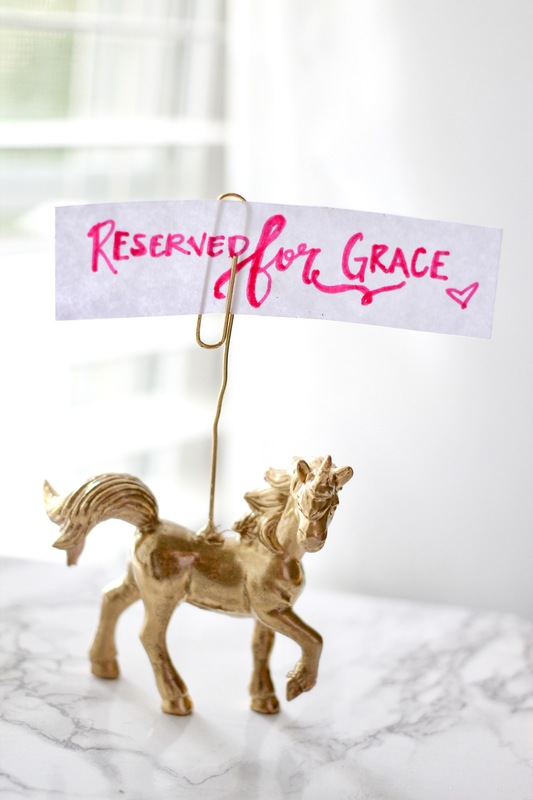 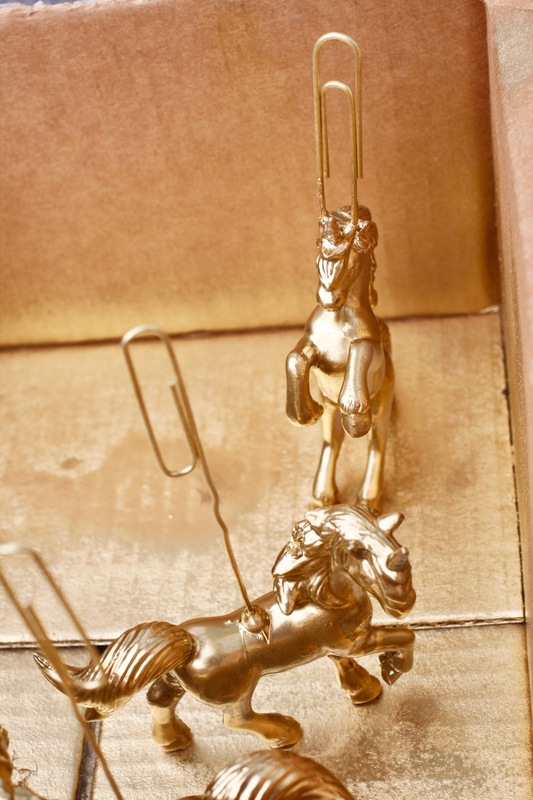 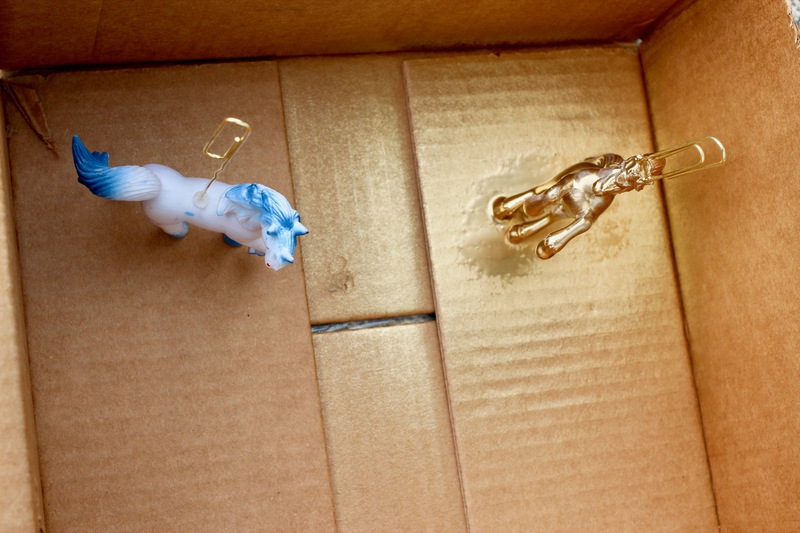 Step 2: In a well-ventilated location (preferably outside if possible) begin spray painting your unicorn memo holders. 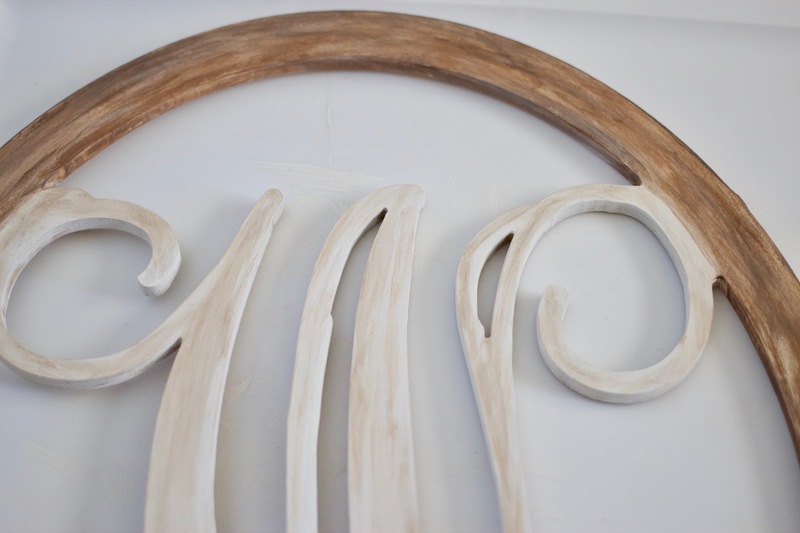 Lightly spray the first layer, letting it set for about 10 minutes or so before continuing. 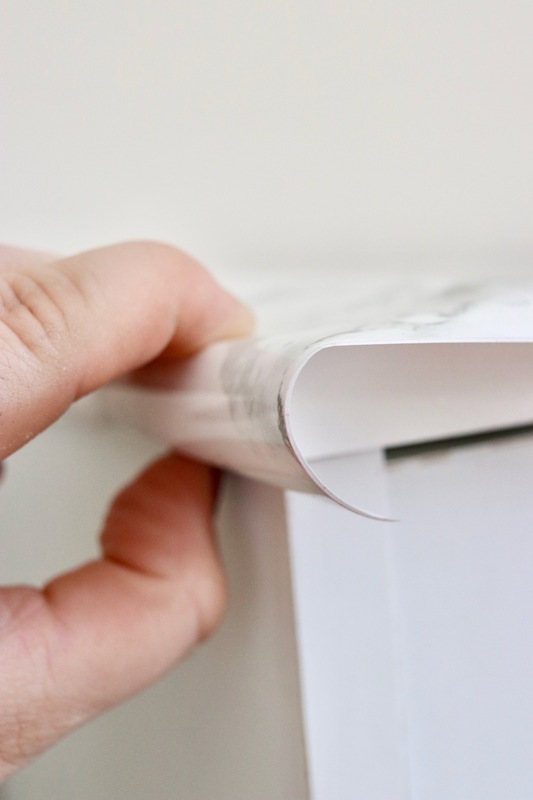 Repeat until desired coverage is reached – after which wait about 40 minutes before handling. 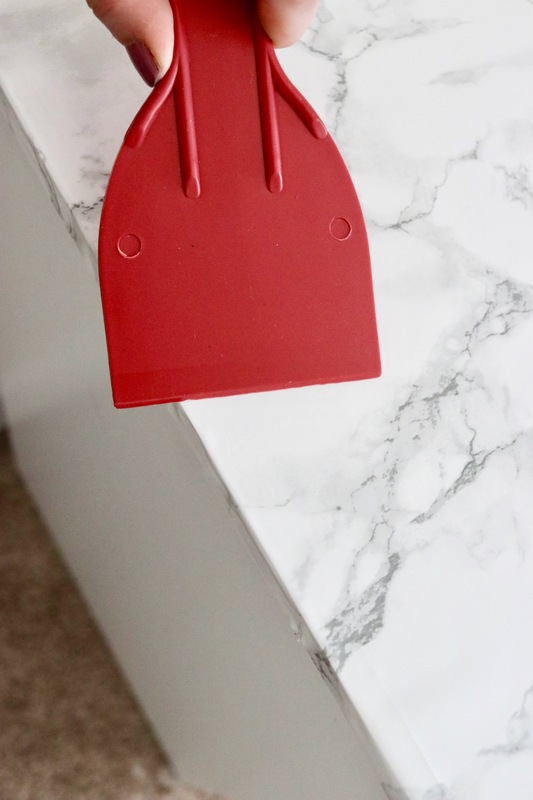 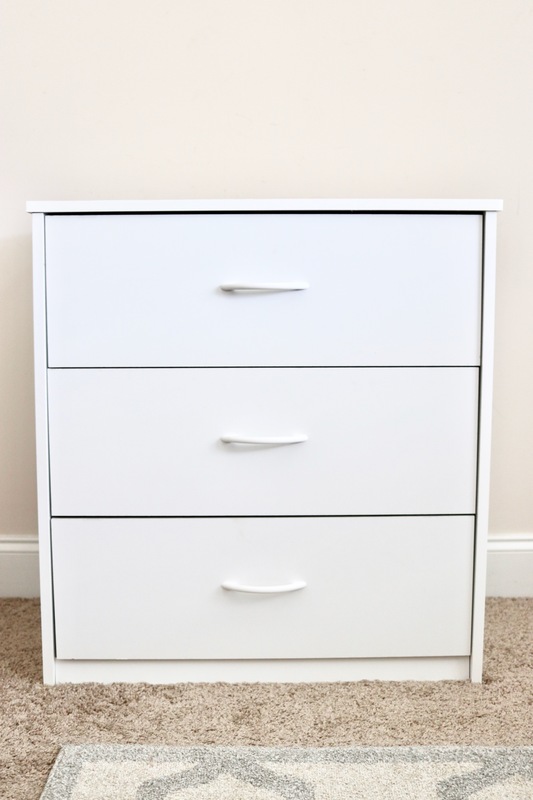 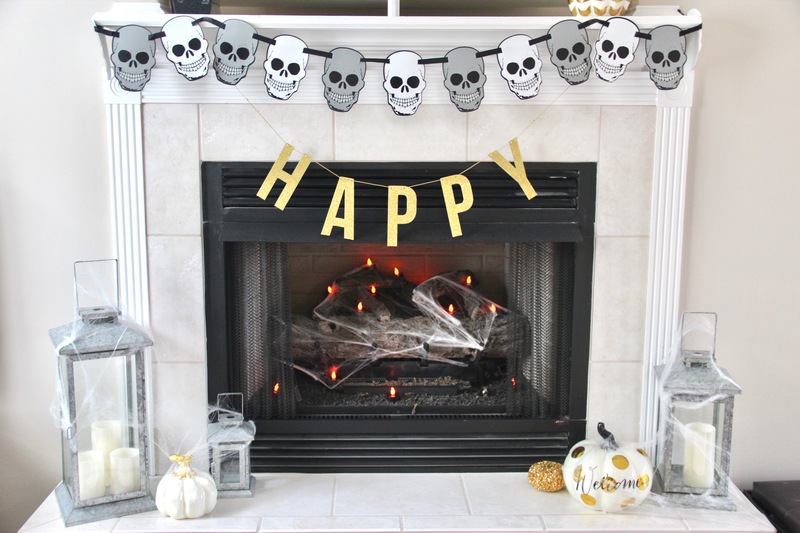 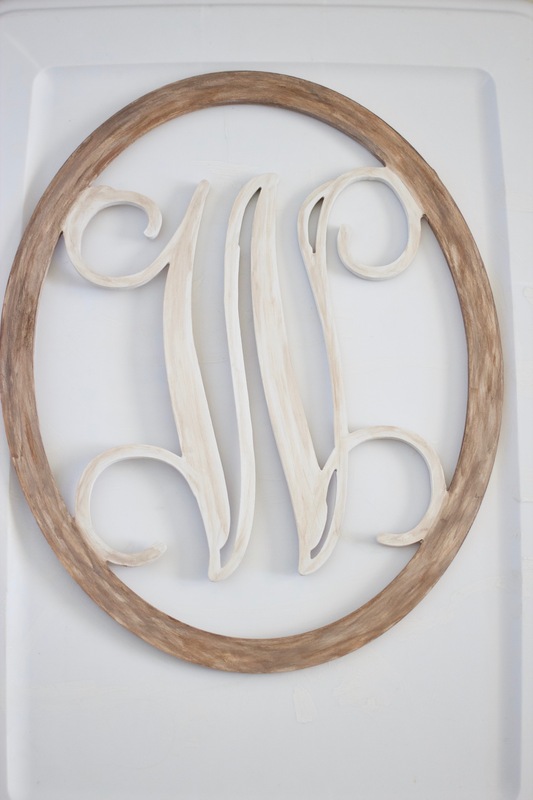 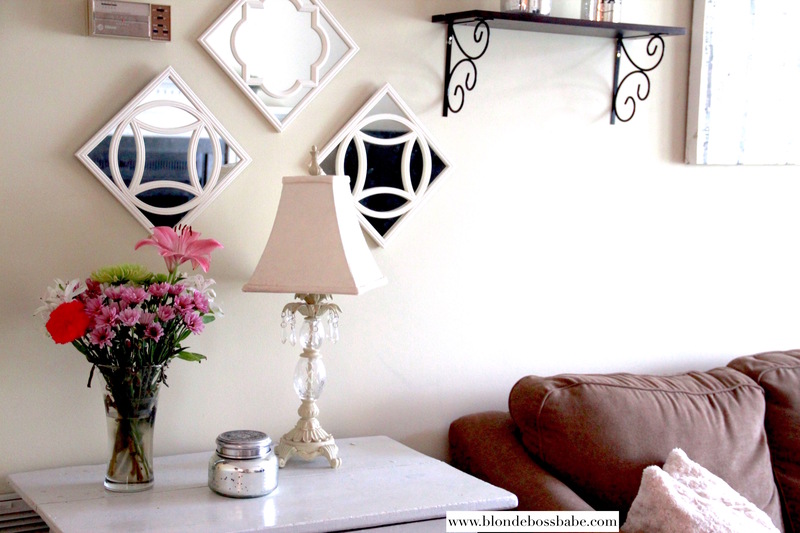 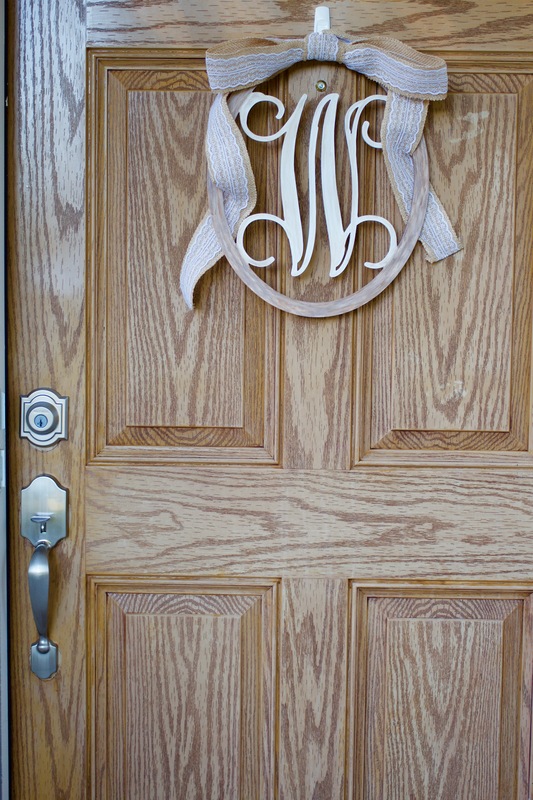 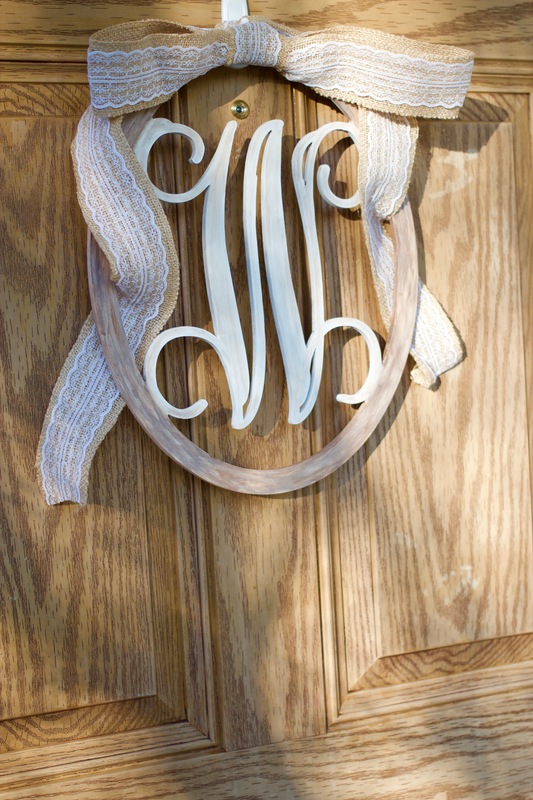 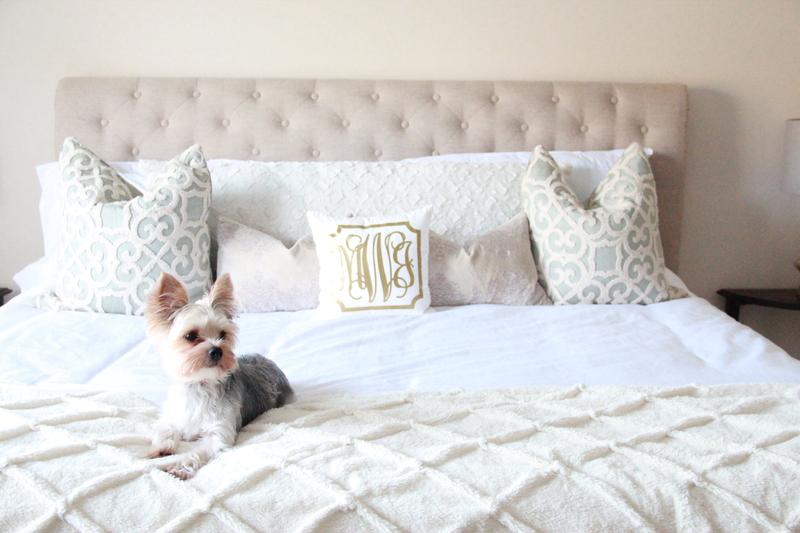 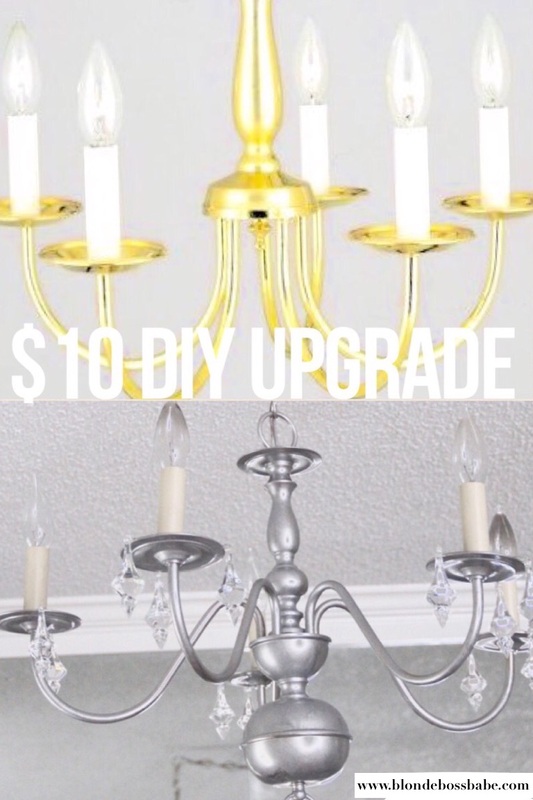 Getting ready to complete this DIY? 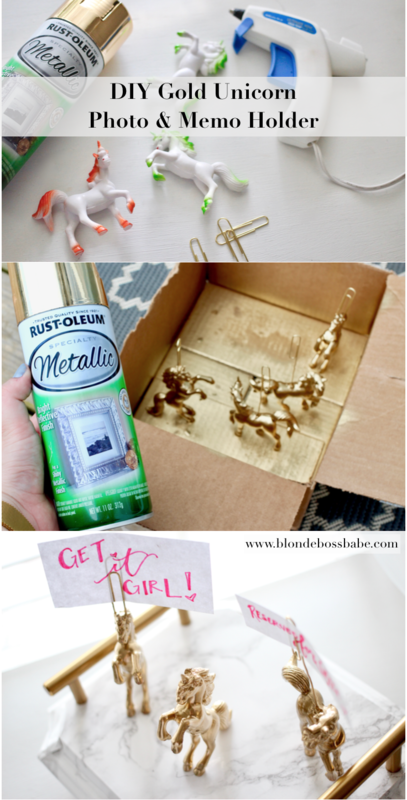 Don’t forget your supplies!